My adult coaching career began in 1993 when I was named graduate assistant at LSU. Following two seasons I was promoted to third assistant at age 24 (restricted earning coach); not allowed to recruit off campus but was on the court teaching plus on the bench at games. Upon reflection I was ill prepared to work in a power conference at my age. Two assistant coaches and the athletic director suggested to Coach Brown I would be a good hire. My inability to teach with confidence and deal with losses caused depression. Not demonstrating enough mental toughness my contract was not renewed and months later, I wrote Coach Brown thanking him for the opportunity and also for removing me from the staff. I was a drag and not useful; in big time college athletics a coaching staff cannot have dead weight. I learned about adversity and motivation from Coach Brown and other important vital coaching components from the other assistants (Bob Starkey and Johnny Jones). My primary duty was advance scouting/game preparation. I watched video tape for every opponent so when we played I had seen every opponent's game to that point. The endless amount of video reviewed over five years became a primer for my coaching knowledge being exposed to everything which could happen during a game. Additionally, Coach Starkey and Coach Jones pushed me to constantly improve my acumen by teaching and quizzing me about every nuance on how to coach effectively. Following the college experiment at age 27, I landed in the School of Kinesiology at LSU teaching undergraduate courses which I have now done for 21 years. During that period I also was Head Coach at my high school alma mater- LSU Laboratory School. 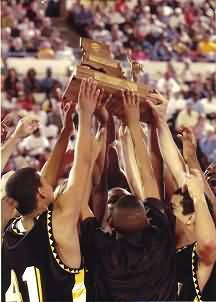 In my 5th year we won the state title for the first time in twenty years. In my sixth year we lost the state semifinal by a point directly because of my ineptitude of how I handled the final ten seconds of that game; a brief time period which haunts me to this day and in my mind defined my entire career. In 2004, we had the best team in school history and were ranked preseason top ten nationally; the first of any team sport in school history. Because of my folly in 2003, there was immense internal and external pressure to win the state title. Prior to the season we had two kids sign at LSU, one at Air Force, and one at Stanford- all four either playing football or basketball. We had the target on us and the only things which could derail us would be injuries or me. Therefore I had to find a perfect strategy- full proof as to avoid ruining the kids from reaching their potential and earning a championship plus final national ranking. I gave serious thought to the plan over eight months and created the following guidelines for leading the program in the 2003-04 season. Keep in mind these are not commandments and only fit within my personality. As a coach, you might not agree or feel comfortable with my ideas. In short, don't use them or do modify them to fit your personality. 1- I made sure the team was in superior physical condition. The commonly known benefit for not being fatigued is to avoid mental errors, yet I had a secondary reason. When athletes are tired, it's a given they stop using proper body mechanics for running, cutting, sliding, diving, or jumping. Poor body mechanics triples the chance of injury. Consequently I needed kids in better shape than any opponent and an unintended benefit was it allowed four or five reserve kids to provide quality depth. 2- A common theme in the coaching world is to "over coach for game slippage", a popular phrase from John Wooden. For that season I did not adhere to the maxim. The team knew how to play without turning the ball over, and had been together for eight years in AAU, hence understanding each other's strengths and weaknesses. The worst thing I could do was to lasso those kids to fit my "style". So, I gave the players broad parameters of what I would accept and a line of what I would not tolerate. Of course, I taught basic fundamentals at game speed, proper team offense and defense, and general game strategy for any special situation. I gave them the right to deviate based on something they saw during a game. For example, I had one player so intelligent he could change a defense DURING a possession and it would consistently provide positive results. I gave him little guidance except not to screw it up and throughout the season we stifled many opponents with this form of surprise and change basketball philosophy. 3- I shortened practice but increased speed and intensity. All fundamental drills were done full court. We worked on rebounding, transition defense, and shooting daily. Practices were between 85-100 minutes depending on my satisfaction of execution and effort. It was designed to create a sense of urgency in hopes it carried over to games. I wanted any opponent who envisioned being able to compete unable to survive an opening onslaught usually destroying any confidence they might have had prior to tip off. 4- I kept detailed notes on what was going on in the personal lives of each player. Of course, I never shared what I found with the team because I didn't want them to think I was a stalker. But the information allowed me to solve potential problems prior to the school administration having to deal with it. In the world of academia it is termed "with-it-ness". It was exhausting but it I wanted no drama from something personal a player could have easily resolved with guidance from an adult. 5- I used disadvantage drills and different scoring systems for practices. One day we might have the starting five try to advance the ball against 14 or 15 kids without using the dribble. I needed to challenge their court decision-making process constantly. Plus it kept their attention and enthusiasm during what could be a mundane time especially when every game provided a 15-50 winning point spread. 6- For the final two weeks of the regular season and playoffs I allowed reserves plenty of playing time in games and made sure practices were no longer than an hour. During what was usually a 45-50 minute practice we did game speed shooting drills, full court transition drills, rebounding and foul shooting. 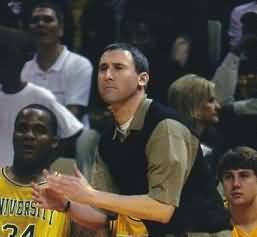 Some days we would forego full court drills to specifically focus on special situations (overtime, up by 7 with 3 minutes remaining and us with the ball trying to run clock, down by 10 with four minutes to go in the game, having to go full court for an open shot with 4 seconds on the clock, etc). Players enjoyed what I termed "lagniappe". My primary goal for the post season was to keep the kids with fresh legs and fresh minds. An epilogue; the team broke numerous school records, won every playoff game by over twenty points; the state semi-final against the opponent who knocked us out in 2003 by thirty points and the championship game by a state record thirty-two points. The two players who attended LSU both started in a Final Four, the player attending Air Force became captain of the team during his senior year, and the football player who attended Stanford played for Jim Harbaugh. I was completely spent mentally and should have retired but had the idea I could coach anyone, which was foolhardy as we won less than fifty games over the next four seasons and I did end up retiring of burnout having to eschew coaching for five seasons. The experience was beautiful as for the only time in my career I fully exhausted every duty of my job. While it was out of fear and guilt from the previous season, it showed me how a coach must swallow his or her ego and allow the kids to own the team. In many situations, coaches find it important to demonstrate their knowledge often using intricate strategy resulting in observers remarking about how intelligent the coach might be. I admit spending many years coaching by a philosophy where I believed super strategy won games. During 2003-04 I learned about how to coach more than my other 25 years combined. A coach can't retard the natural ability of good and athletic players by filling their head with complicated offense or defense or pressing. It slows the player down (even for a split second) which makes the difference between a block or charge, open shot or a contested one, a pass or an interception. While it is a source of controversy or philosophical argument I no longer over coach for game slippage. It works for me and might not work for you. Remember, coach within your personality as it will allow your players to see you are genuine and not phony thus having a better chance for the players to buy in to whatever you want to accomplish.